The California Energy Commission has approved $50 million in funding for zero-emission construction projects throughout the state. Notably, the majority of this money, some $46.6 million, will be used to build new hydrogen fuel stations. A network of 28 new stations is expected to take form in the state and these stations will support the eventual launch of fuel cell vehicles from some of the world’s leading automakers. The new stations will further bolster the state’s burgeoning hydrogen infrastructure. Much of the world currently lacks a hydrogen fuel infrastructure capable of supporting the widespread adoption of clean vehicles. While the auto industry has been experimenting with fuel cells for decades, it has only very recently become viable to make use of these energy systems in transportation. Many automakers have plans to release their fuel cell vehicles in 2015 and 2017, but without a working fuel infrastructure in place, these vehicles are not likely to find success in the market. California is one of the auto industry’s favorite markets and the state has a reputation for supporting clean transportation and renewable energy. The state has plans to build at least 100 hydrogen fuel stations by 2024, rekindling the “Hydrogen Highway” initiative that had been promoted by former Governor Arnold Schwarzenegger. The initiative had struggled to find any traction in the state despite some strong support. As such, the state still lacks an effective hydrogen infrastructure that is capable of supporting fuel cell vehicles. 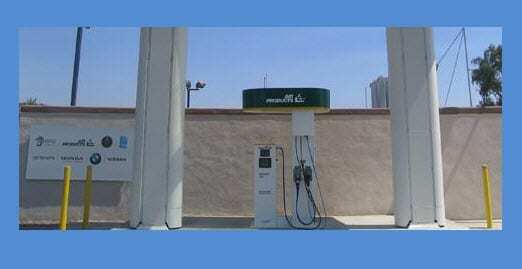 The funding approved by the California Energy Commission is being doled out to various organizations that will be responsible for building new fuel stations. These organizations will have to design, test, fabricate, and deploy fueling technologies that comply with state and federal regulations. These technologies will be used as the foundation of new fueling stations that will serve fuel cell vehicles in the coming years.